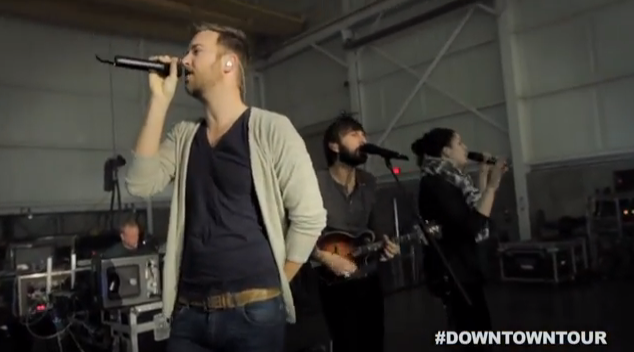 In anticipation of their headlining Take Me Downtown Tour, Lady Antebellum is sharing a behind-the-scenes video from tour rehearsals in Nashville, Tenn. The group gives fans a sneak peek of the new stage and hints at surprises for opening night. The North American tour kicks off next week on Jan. 10 in Peoria, Ill., with Kip Moore and Kacey Musgraves. For a full list of tourdates, visit ladyantebellum.com.